The Pittsburgh region and PA offered Amazon up to $6.7B in incentives. Here’s how the bid for HQ2 breaks down. The Pittsburgh region was prepared to, in effect, pay Amazon nearly $80,000 per job if the company located its sought-after second headquarters here complete with a 50,000-employee workforce. That figure — which equals about $4 billion in incentives over a 10-year period — was included in the region’s proposal to land Amazon’s second headquarters and released for the first time Thursday morning. The combined incentive package offered locally and by the state totaled nearly $6.7 billion — a possible $4.6 billion from the state and $2.1 billion from the city, county and Pittsburgh Public Schools. The incentives would have accumulated over time and were not strictly financial. Local officials also emphasized that taxpayers would not have been shouldering the cost of the incentives offered to Amazon. City and Allegheny County officials made Pittsburgh’s bid for Amazon HQ2 public after a frenzied 14-month competition and multiple legal fights with local news outlets, including PublicSource. Officials followed through on a promise to release the bid once the online retail giant finalized its decision; two days ago, Amazon announced its choice of New York City and Arlington, Virginia. Free land, plus on-site and off-site infrastructure. The city, county, state and Pittsburgh Public Schools would have collectively paid for infrastructure improvements and reimbursed Amazon for the cost of its chosen site via three funds: A Pennsylvania Department of Transportation grant worth $81 million over 10 years; a tax increment financing program [TIF] worth $426 million over 20 years; and a diversion of city parking taxes worth $130 million over 20 years. Reimbursement of state income taxes. Pennsylvania leaders, including Gov. Tom Wolf, Department of Community and Economic Development Secretary Dennis Davin and Republican and Democratic legislative leaders proposed reimbursing Amazon’s income taxes, worth up to $4.5 billion over 25 years through a performance-based grant program. That program could have netted Amazon $1.3 billion over 10 years, according to the bid’s “local valuation” calculation. Pooling Amazon’s local taxes. 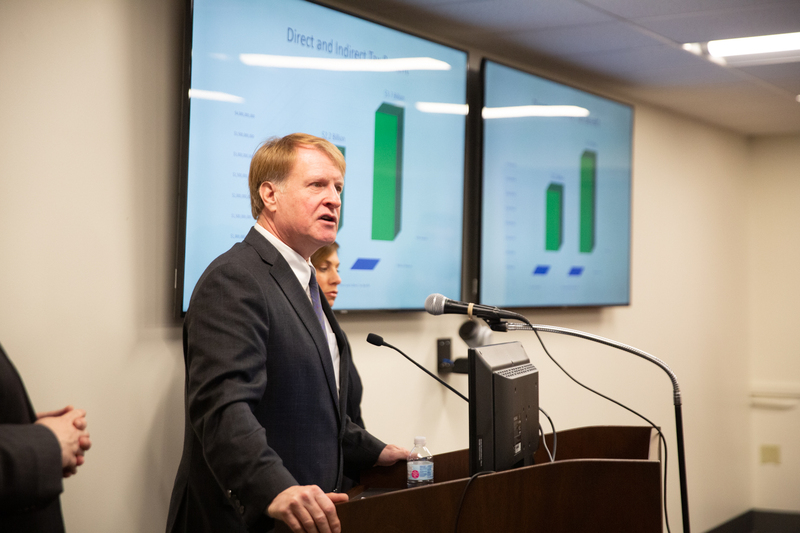 Allegheny County Executive Rich Fitzgerald said Amazon would have paid an estimated $5.8 billion in local taxes over the next 20 years, so he, along with city and school district leaders, proposed placing $2.1 billion of that money into a separate fund, called Forging Pittsburgh’s Future. Amazon would have had a say in how that $2.1 billion was spent, though Peduto said it would have been directed to four main areas: affordable housing, job training, water and sewer infrastructure improvements and public transit. Local leaders, including Fitzgerald, Peduto and CEO of the Allegheny Conference on Community Development Stefani Pashman, said the incentives wouldn’t have been paid for with existing tax revenue. Rather, they said, the incentives would have been paid for by spending the tax revenue Amazon would bring to the region as well as funds raised from the state, local nonprofits and corporations. Peduto rejected the notion that the incentives were akin to writing Amazon CEO Jeff Bezos a check. 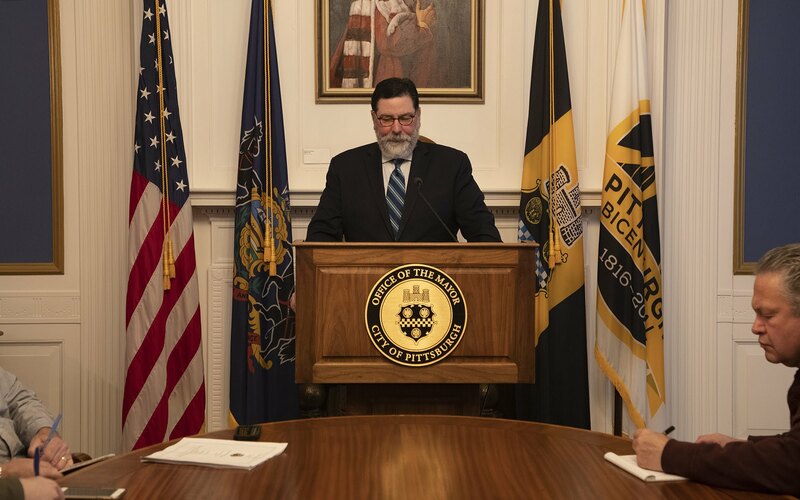 Of particular note, Peduto said the incentives would have helped pay for replacing Pittsburgh’s lead lines and fund other improvements at the Pittsburgh Water and Sewer Authority [PWSA]. The city and PWSA have been grappling with a crisis of lead in the local water supply for years now with the authority this year beginning to replace lead lines in earnest. 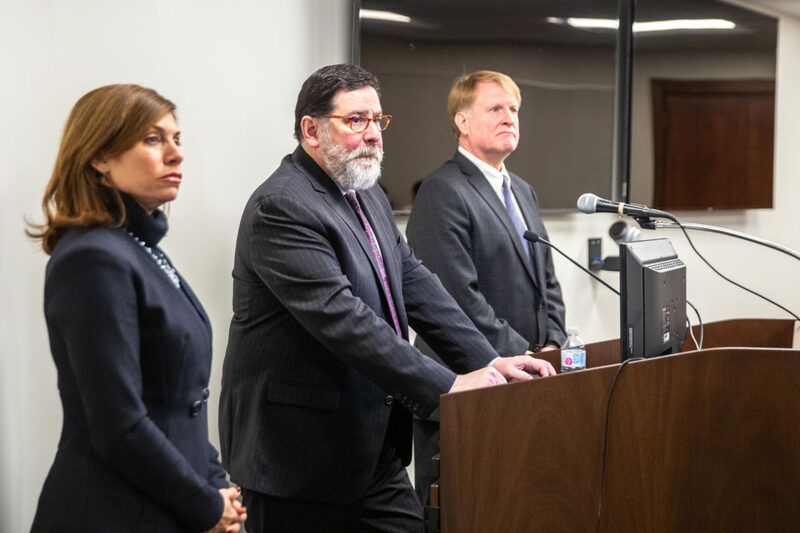 As officials were speaking Thursday morning, PWSA released its 12-year plan, a document Peduto was waiting to receive before entertaining offers from private companies to take control of PWSA’s water infrastructure. Companies like Pennsylvania American and Peoples Natural Gas, which was recently acquired by the national water provider Aqua America Inc., have shown interest in acquiring the water authority. “The issue of, ‘It was just going to go into Jeff Bezos' pocket,’ is not a fair or valid argument." During the HQ2 process, Peduto, Fitzgerald and Pashman said any incentives offered to Amazon would have to go through the normal legislative channels at the city, county, state and school district. The proposal promised to make those processes go smoothly to guarantee the incentives and included letters from city, county, state and school district leaders pledging to do just that. You can view the Pittsburgh bid here. The 178-acre Hazelwood Green site in Hazelwood. 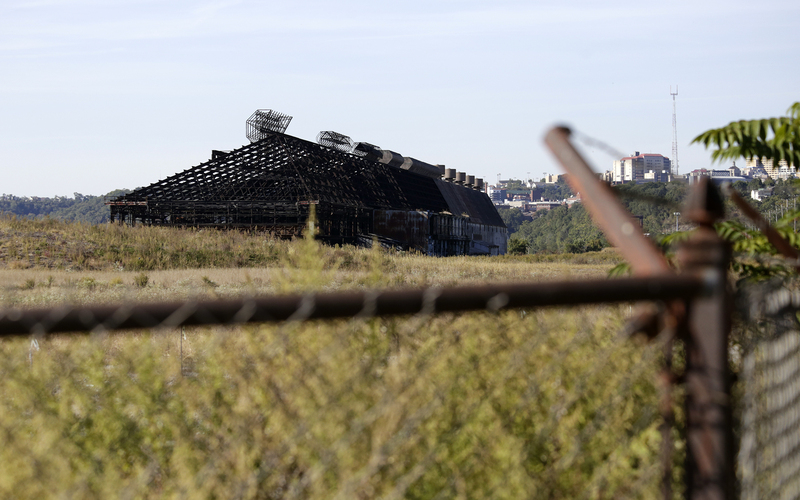 Formerly the home of the Jones and Laughlin steel mill, the site would have offered Amazon 500,000 square feet of space in 2019. Fully developed, Amazon would have had up to 9 million square feet of space to build new offices. The 28-acre Lower Hill site in the Hill District. Formerly the location of the Civic Arena, this site is owned by the city and Sports and Exhibition Authority, and the Pittsburgh Penguins hockey team has development rights. Amazon would have had 1 million square feet to occupy initially and current zoning would have given the company between 5.5 and 8 million square feet of space once the site was fully developed. A Strip District site. Located on the city’s “Robotics Row” near other tech companies, the 44-acre site was a patchwork of several privately held sites bundled together. This site would have given Amazon an initial 1 million square feet of space and 8 million square feet once it was fully developed. The Carrie Furnace site. Owned by the county, this 65-acre site would have allowed Amazon to build 500,000 square feet of office space in 2019 and well more than 8 million once the offices were fully developed. A site at the Pittsburgh International Airport. This site, also owned by the county, would have similarly given Amazon an initial 500,000 square feet of space in 2019 and well over 8 million once it was fully developed. Included in the proposal was establishing a dedicated 100,000-square-foot research and development facility for Amazon on Carnegie Mellon University’s campus, which could have served as a place for students to train for jobs at Amazon. All sites included an initial 15,000 square feet of space at Carnegie Mellon University for Amazon to use for research and development. Called the PGH-AMZN LAB, the space on CMU’s campus “could focus on forward-looking exploratory research; prototyping of new technologies, products, services and entertainment; development and training of Amazon’s future workforce; or all of the above,” the bid noted. The proposal also offered up the Century III Mall, Southside Works and Station Square as possible sites for Amazon. Monroeville and South Fayette Township also offered sites to Amazon. And, if Amazon had wanted to locate in Pittsburgh in 2018, the proposal offered 525 William Penn Place in Downtown, Nova Place on the North Side and space in the Strip District for the company to occupy immediately. In addition to incentives and sites, Pittsburgh’s Amazon bid highlighted other amenities that could attract the company to Southwestern Pennsylvania. The bid touted the region’s low cost of living, a concentration of tech talent and short commute times compared to other cities. The bid cited Pittsburgh’s median monthly rent of $1,000 and median home price of $136,500. To address the issue of its small size compared to other cities, the bid declared that the region had housing available to absorb up to 400,000 new people. The bid also cited the region’s talent pool, noting that Pittsburgh contained the country’s top computer science, new media and information technology programs and that 77,000 students graduate annually from colleges and universities within a 200-mile radius of the city. The bid also highlighted the city’s commitment to help fund and implement universal pre-kindergarten education for all Pittsburgh children, as well as other STEM and STEAM education opportunities for children. Since Amazon made its announcement on Tuesday, Peduto said he, Fitzgerald and Pashman had spoken to Amazon executives briefly, during a “5 to 10 minute” phone call. Chief among the reasons Amazon didn’t pick Pittsburgh for its second headquarters was its small size. Amazon executives praised the city, Peduto said, but said that Amazon was looking for a place that it wouldn’t have as big of an impact on. A more in-depth debrief is in the works, he said. Looking forward, Peduto said he wasn't worried about Amazon using the data and information it submitted to the company for any ill-meaning purposes, as some critics have cautioned. Among the critics is Greg LeRoy, executive director of Good Jobs First, which tracks government subsidies to private companies. He has said Amazon pulled off a major feat in managing to collect data on 238 cities for free. Peduto said he doesn’t believe Amazon could ever use Pittsburgh’s data. “I read a lot of the articles around the country about all this data and how it was just a ploy to get data. Data has a shelf life of bread. Data is useless after six months,” Peduto said. “It is, and needs to be, real-time data and tech giants don't use data after a month. So anything that we gave to them is basically already useless. Pittsburgh school board member Kevin Carter claimed his signature was forged on a letter promising incentives to Amazon. Pennsylvania Gov. Tom Wolf and other officials were prepared to offer Amazon up to $4.6 billion in incentives if the company had chosen to locate its second headquarters in the state. On Tuesday, Amazon announced it had chosen New York City and Arlington, Virginia, as the locations for its dual-office second headquarters. How much of Pittsburgh’s failed Amazon HQ2 bid will the public see? Now that Pittsburgh knows it's not getting Amazon's second headquarters, officials are planning to release the bid to the public. But the level of detail to be released is yet unknown due to non-disclosure agreements and other private interests cited by public officials on Tuesday.